How do gender stereotypes affect our thoughts and actions? How can this influence be measured? 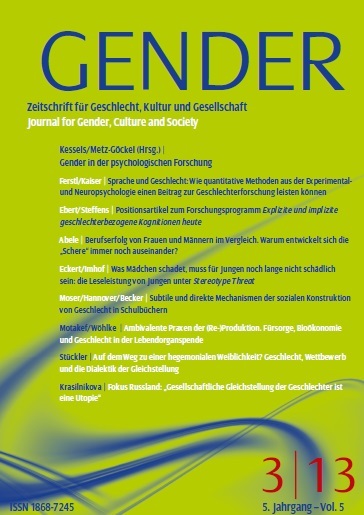 The main articles in the current issue are devoted to neuropsychological, socio-psychological and pedagogical-psychological research and point out important impulses that psychology can provide for gender studies.